Stepping into Wisma Atria made me feel like I was stepping back in time. In a country where new malls seem to sprout faster than we can increase the nation’s birth rate, this mall seems to have stood still in time. Those old enough to remember brands like Ocean Pacific (which had a prominent store at the mall) will recall that Wisma Atria was the hippest place to be seen and where everyone arranged to meet. Despite being overshadowed by its newer neighbours, Ion Orchard and Ngee Ann City (herself a grand old dame by now), Wisma Atria has never faded away, being blessed with an excellent location right atop Orchard MRT station. The truly good restaurants are likewise able to deftly navigate the fine line between the old and the new. I had mourned the loss of Paradise Inn, where I got my fix of comfort food like their pig’s stomach soup. In its place has arisen brands such as Paradise Classic and Paradise Dynasty. The Paradise Group seems to have mastered that art in preserving many of the well-loved classic dishes, whilst introducing exciting new dishes to keep things fresh. 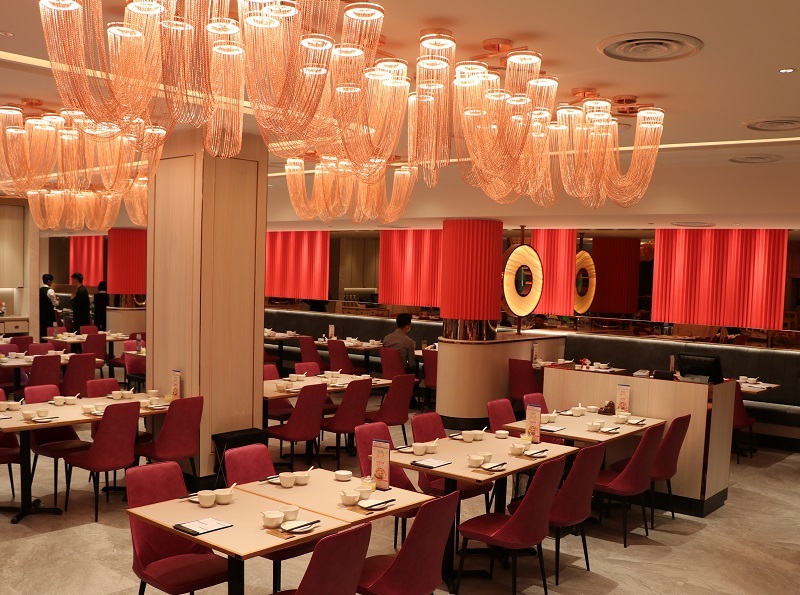 The moment you enter the brand-new Paradise Dynasty at Wisma Atria, you are struck by the vibrancy and liveliness of the place, accentuated cleverly by hues of pink and rose gold. Gone are the muted colours of old which tended to make their restaurants feel a tad staid. Having lived in Shanghai for a number of years, I am overcome by a warm feeling of familiarity as I browse through the menu and recognise many of the dishes that sustained me in my time abroad. Dishes such as the Pan-Friend Shanghai Pork Bun (生煎包), Prawn and Pork Dumpling in Hot Chili Vinaigrette (红油鲜虾猪肉抄手), Stir-fried Shrimp (清炒虾仁), Poached Sliced Fish in Szechuan Chili Oil (水煮鱼) and Spicy Szechuan Crispy Chicken (辣子鸡) kept us warm and well-fed on many cold wintry nights. 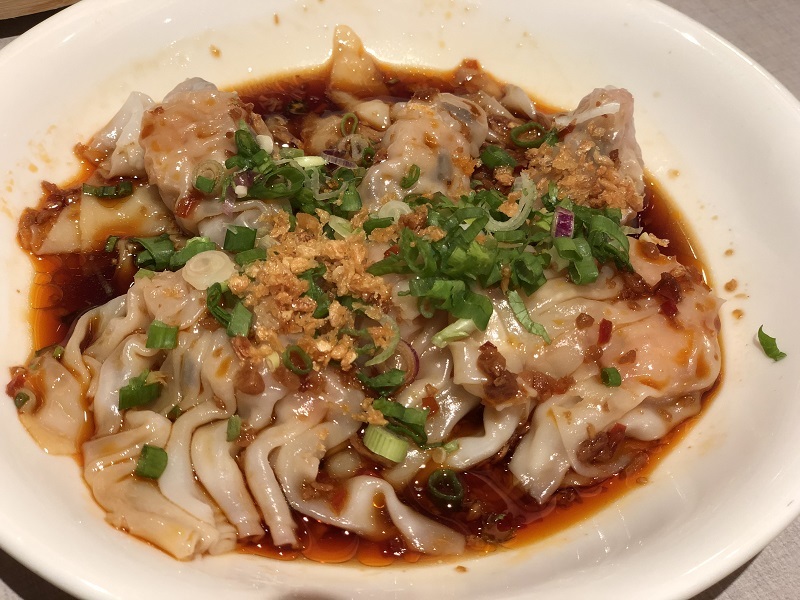 The version of Dumpling in Hot Chili Vinaigrette (红油抄手) here comes with a plump and juicy piece of prawn and was very satisfying. 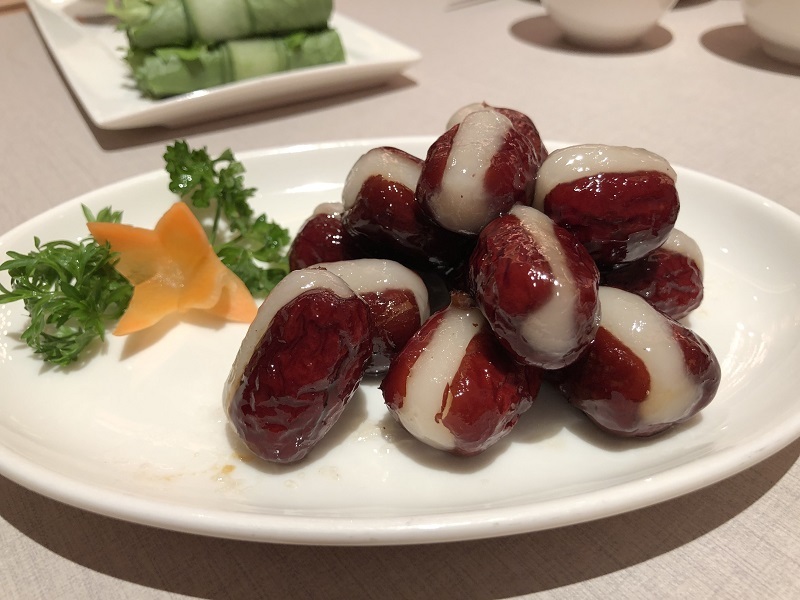 When I want to ascertain how authentic the food is, I go straight for the Steamed Glutinous Rice stuffed in Red Date (心太软), one of the first dishes I encountered in Shanghai which I found fascinating. I’m happy to report that the dish passed with flying colours. Done wrongly, the red dates can taste hard and dry but Paradise Dynasty has done an excellent job in keeping it soft, chewy and moist. I was particularly excited to try some of the new dishes that I never came across in China or elsewhere. 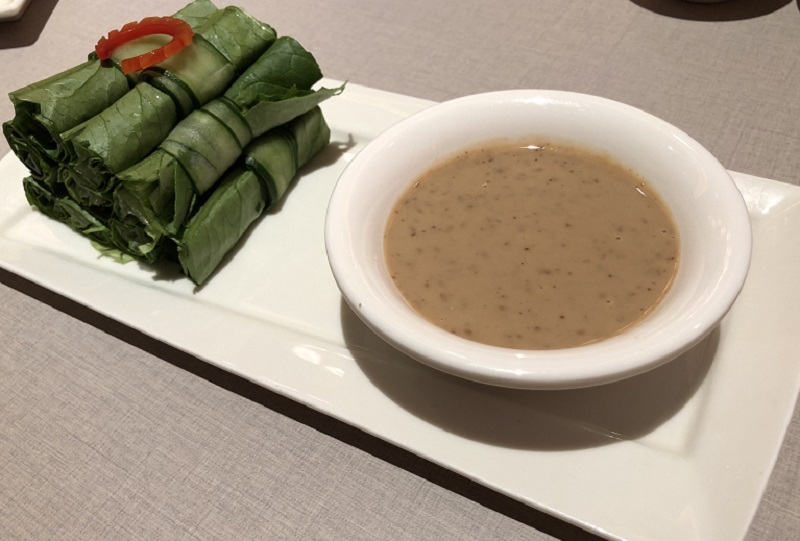 The Lettuce Roll with Homemade Sesame Sauce (芝麻酱油麦菜) may look simple but is a refreshing counterpoint to the Xiao Long Bao. On that note, you’ll be happy to know that with every purchase of the Specialty Dynasty Xiao Long Bao (the world’s first eight-colour Xiao Long Bao featuring original, ginseng, foie gras, black truffle, crab roe, cheese, garlic and Szechuan flavours), you’ll get a 5-piece set of the Beauty Collagen Xiao Long Bao (美颜小笼包) absolutely free! 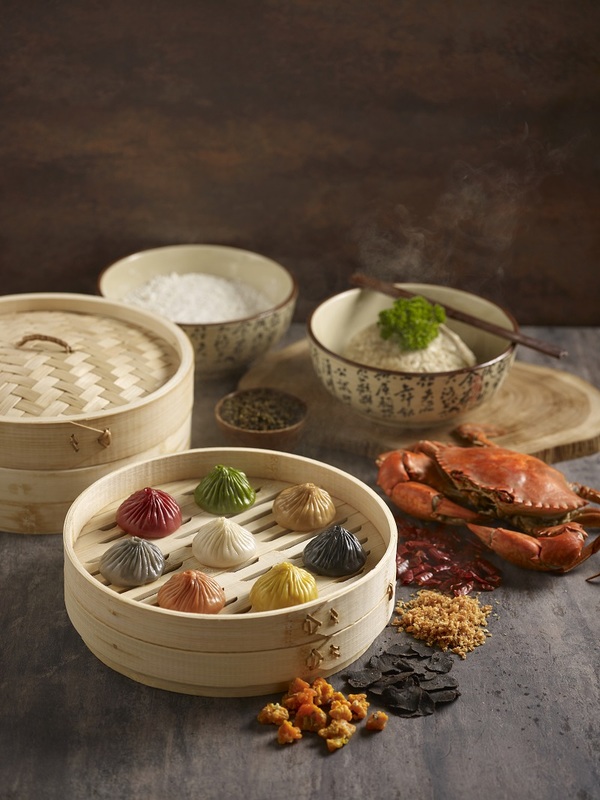 The Beauty Collagen Xiao Long Bao was created together with Beauty in the Pot, famous for its collagen-rich steamboat soup. This unique Xiao Long Bao is not for sale so if you want to try it, you’ll have to hurry down before 31 January 2019. The hands-down highlight of the meal was the deceptively plain looking Crispy Yellow Croaker Spring Roll (荠菜黄鱼春卷). From the outside, it looks like any of those deep-fried popiah that we’d buy for a dollar at public swimming pools back in the day. Here is where the saying ‘the proof of the pudding is in the eating’ is most apt. Biting into the crunchy pastry skin, you are greeted by a burst of flavour from the piping hot soft, tender flesh in your mouth. During my time in China, this was a fish I tended to avoid as it was a bottom dweller and thus tended to have a somewhat ‘muddy’ taste and was full of bones. I was therefore pleasantly surprised at how good this tasted. 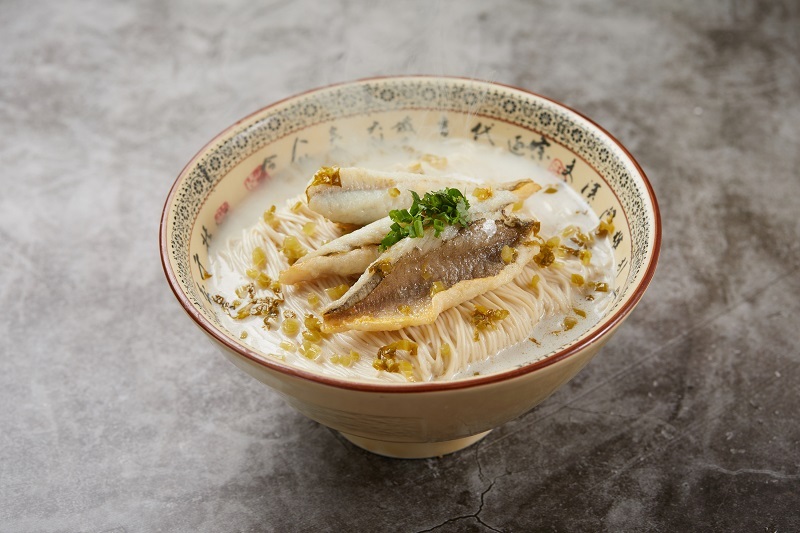 I am already looking forward to my next visit to try the Steamed Yellow Croaker with Fermented Rice and Chinese Wine (鸡油花雕酒醸蒸黄鱼), together with the other traditional dishes that conjure beautiful memories of my time in China. As with the mall it is housed in, Paradise Dynasty looks set to last a long time with its ability to bridge the old and the new. Pro-tip: be sure to order the Fried Rice with Crab Roe (蟹粉炒饭). The different textures and flavours are so complementary and make this a delightful dish. 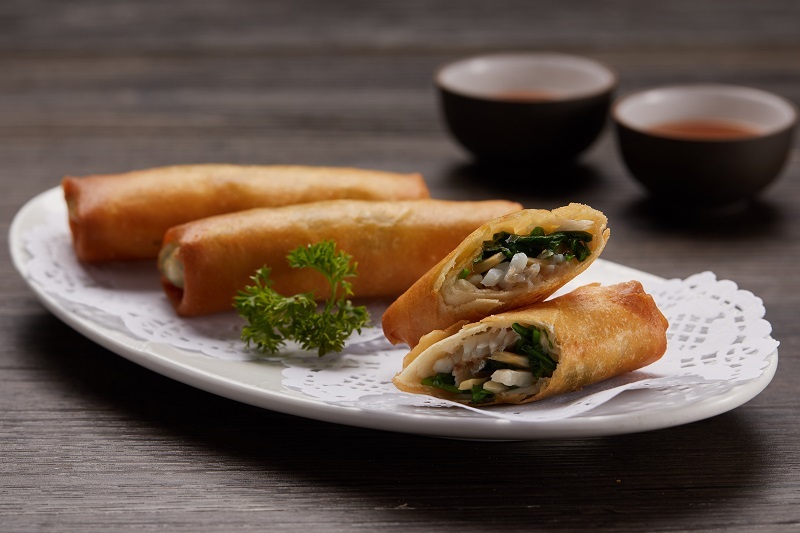 In celebration of the grand opening of Paradise Dynasty, the restaurant will be offering 50% off all a la carte food items this weekend on 19 and 20 January 2019. The promotion is only valid for dine-in at Paradise Dynasty Wisma Atria, for all Citibank Credit or Debit Cardmembers and Paradise Gourmet Rewards members.